It's been two weeks since Cherry Mobile has released the FUZE phone but its heat is still burning the local mobile scene. Cloudfone may be the king of power-carrier phones but Cherry has delivered something out of their comfort zone - battery life. The 4000 mAh of the Cherry Mobile Fuze is something to look up to. It'll give you three day of mileage with normal usage. And with the very practical price tag of Php 5,499, Fuze is set to gain a large number of users in the country. Aside from the monster battery, Fuze also boasts a number of guns. It is framed in a 5-inch FWVGA screen (480 x 864p at 218 ppi). Plus, the 1.3-gigahertz quad-core CPU and 1-gigabyte of RAM will give this handset a zippy performance. Other specs are quite conventional – 4GB internal storage for you media downloads, 8-megapixel rear camera (1.3 MP front) and 3.5G HSPA+ connectivity. 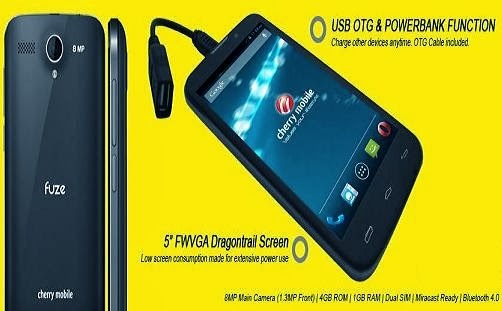 And basing on its battery capacity, the Cherry Mobile Fuze could also be used as powerbank through USD OTG (On-the-Go). Out of the box, this handheld will be powered by Android 4.2 Jelly Bean. 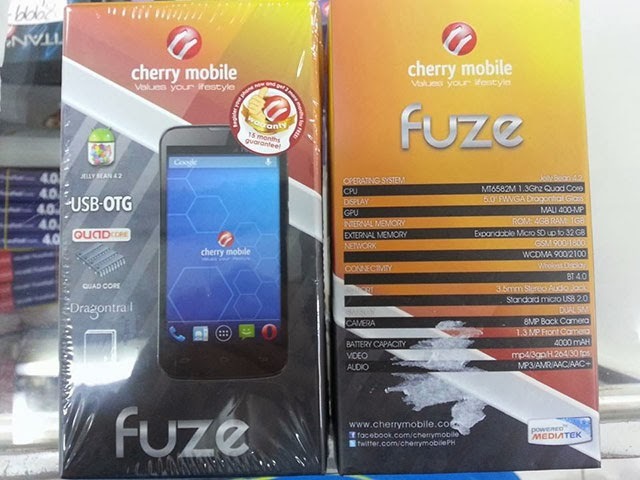 With Fuze, Cherry Mobile seems to put the missing pieces in their previous smart phones together. Congrats.